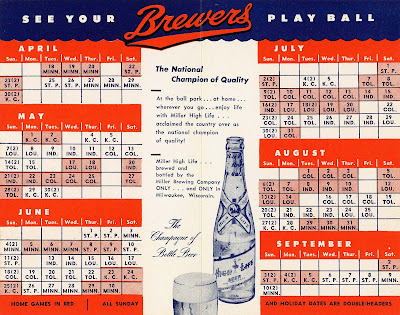 This pocket schedule comes from the 1950 season. The natty flat-topped gentleman doffing his cap on the cover was also featured in a Miller High Life ad in that season's score cards. 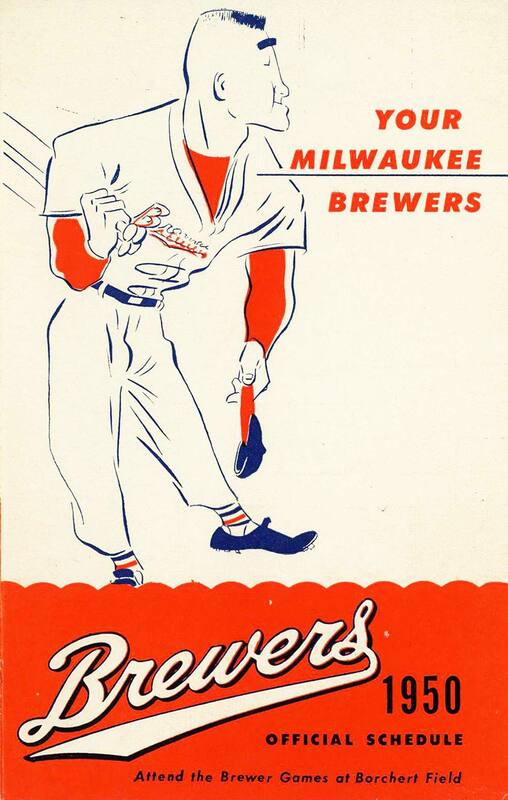 I'm not a huge fan of this "Brewers" wordmark, a skewed version of the script the Brews had worn on their flannels since 1942. I've only ever seen this version on printed materials; they certainly never put it on a jersey. 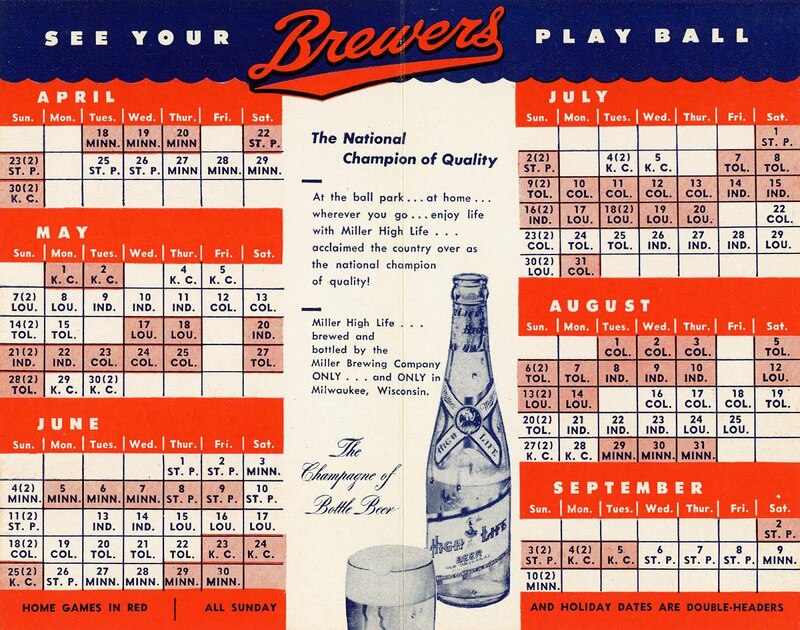 The schedule is on the interior. Home dates in red, and all holidays and Sundays are double-headers! Brought to you, as always, by Miller High Life, "the Champagne of Bottle Beer." On the back, Mickey Heath invites you to listen to his play-by-play. 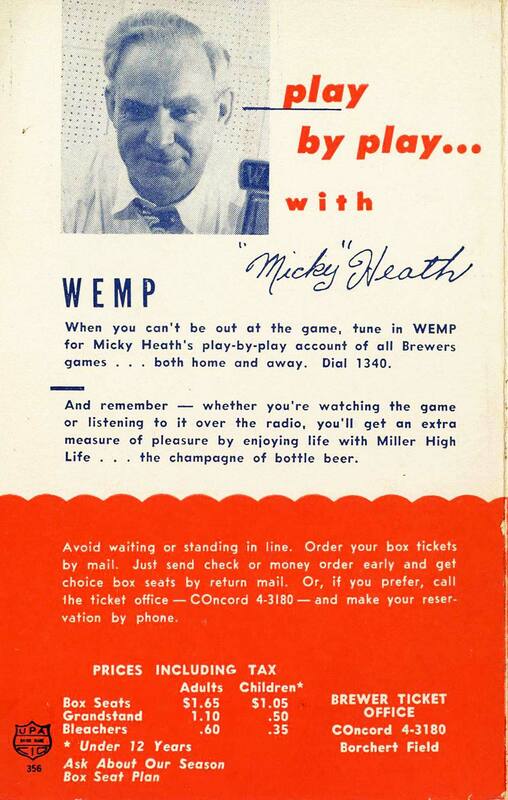 Heath, the voice of the Brewers for a decade, was in his last season with the club. In 1951, he would be followed by Earl Gillespie. $1.65 for box seats sounds pretty good to me.